Phillip was the third son and child of Valentine and Joanna (Pinder) Rowell. 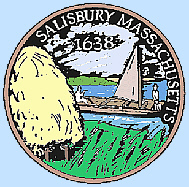 He was born March 8, 1648, in Salisbury, and lived in Amesbury, near the present corner of School and Pleasant streets. He was a shipwright and at one time kept an inn. During the latter part of his mother's life, and after her marriage to Richard Currier, she and her husband lived with Philip. He was married, January 5, 1670, to Sarah, daughter of Abraham and Sarah (Clement) Morrill, of Salisbury. In his last years he carried mail between Newburyport and Portsmouth. He was killed by Indians in an attack on Amesbury July 7, 1690. His estate was settled by his widow, then living with her second husband, in 1699. It was valued at two hundred and fifteen pounds, a fortune in those days. Their children were: Jacob, Sarah, Thomas, Abraham, John Rowell, Job, Hepzibah, Judith and Aaron. Sarah married (second), July 3, 1695, Onesiphorus Page, and (third), May 27, 1708, Daniel Merrill. She was received in the Salisbury Church in 1698, and had three of her children (who were probably then minors), John, Job and Judith, baptized in 1699. Her last years were passed in South Hampton, New Hampshire, with her children. Sarah's father, Abraham Morrill, was born in 1586 in England. He married on 10 June 1645 in Salisbury, Massachusetts. It is not known for sure when Abraham Morrill emigrated to New England, however he may have come on the ship Lyon in 1632 with his older brother Isaac. it is thought that he was young because he did not sign the Oath of Allegiance to the King, and only adult men were required to sign the Oath. Abraham living alone in Cambridge, Massachusetts, paid taxes in 1634. Being a young man in 1632 and a property owner in 1635 puts his birth year at around 1615. By 1640, Abraham became a founding member of the Puritan plantation at Salisbury, Massachusetts. He was granted a house-lot on the "Green." In 1642, he and Henry Saywood were granted 60 acres to build a corn mill. Abraham Morrill died in Roxbury on 18 June 1662, possibly while visiting his deceased brother's family. Isaac had died exactly six months prior to Abraham. The will of Abraham Morrill is signed two days before his death. He is believed to be buried in Roxbury in the Eustis Street Burying Ground, in the same cemetery as his brother. This is the same cemetery where Thomas Dudley, first Governor of the Massachusetts Bay Colony, was laid to rest. To his "dear and loving wife" Abraham left one half of the entire estate outright. The other half was to be split between his six surviving children which he mentions by name: Isaack, Abraham, Jacob, Sarah, Moses, and Lidda. His wife Sarah was carrying their youngest child, as yet unborn. Being the eldest, Isaack was to receive a double portion once he reaches the age of 21. Abraham's wife Sarah and his son Isaack were appointed executors of the estate. Sarah Clements was the daughter of Robert Clements, the pioneer of Haverhill, Mass and Lydia Drummer. He was influential and wealthy in that community, and the owner of the first grist mill. He was one of the five to take the deed of the town from the Passagut and Saggahew Indians in 1642. He eventually came to own an island in the Merrimack River that is still known as Clements Island. The sister of Sarah Clements, Mary (Clements) Osgood, was caught up in the Salem Witch Trials; Mary (Clements) Osgood was accused of witchcraft and spent three months in jail. 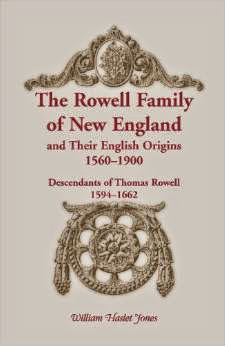 William Haslett Jones, The Rowell Family of New England, Bowie, MD: Heritage Books, 2011).